The design and construction of a new self-storage unit including drainage, external works and external services. The site is located at Honeywood Parkway, Dover, Kent. The unit will be spread over 3 floors. Containing secure private steel units, in a range of sizes from small lockers, up to large spaces suitable for open or pallet storage. Making best use of modern methods of construction, the unit has been constructed within 50 weeks, from commencement on site to the opening of the store ready for customers in December 2018. Fellows are appointed by Lok’nStore Limited as Project Manager and Cost Consultant for the design and construction of a new self-storage unit including all internal fitting out works at Honeywood Parkway, Dover, Kent. Fellows Construction Consultants are providing a full range of pre and post contract services including: appointment of the design team, programming, cost planning, value engineering, tendering, contract documentation, Employer’s Agent / Contract Administrator, monthly cost reporting and advising the Client of contractual obligations. 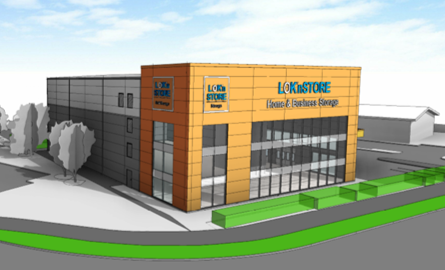 Lok’nStore Ltd has been working with Fellows Construction Consultants from the practice’s inception, building out our expanding portfolio of self-storage centres. Our relationship with some members of the team dates back a decade, offering an invaluable mix of Project Management and Cost Consultancy experience. Fellows bring discipline to the development of the buildings, which as bespoke designs on tight brownfield sites often feature evolving employer requirements in the early stages. The team correctly identify the key hurdles in the programme, and anticipate the problem operations.